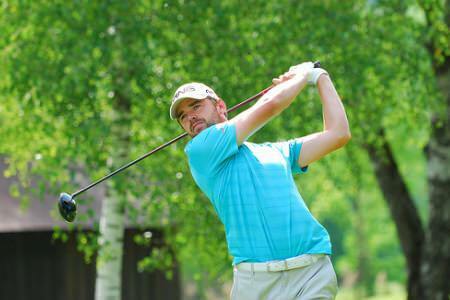 Gareth Shaw is on a high after getting an invitation for next week’s Irish Open. Picture copyright Getty Images.Gareth Shaw arrives for this week’s Scottish Hydro Challenge hosted by Macdonald Hotels and Resorts after a huge week at Saint Omer in which he picked up his biggest cheque of the season and earned a debut appearance at the Irish Open thanks to Simon Thornton’s victory, writes the European Challenge Tour. The Northern Irishman was rooming with Thornton that week and hung around to watch Thornton claim his maiden European Tour title as the Irishman beat Tjaart Van der Walt in a play-off. That meant that Thornton was moved into the European Tour winners’ exemption category for the Irish Open and the invite which he had received was passed on to Shaw, an incredible coincidence on a Sunday which filled Shaw full of confidence ahead of this week’s Challenge Tour event at Macdonald Spey Valley Golf Club in Aviemore, where Glasson’s Colm Moriarty makes his first appearance on tour since stepping away from the game last October. “It was just great,” said Shaw. 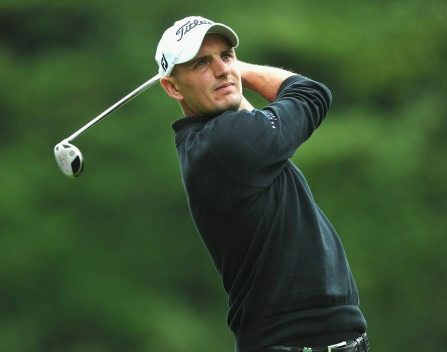 “Simon was on the brink of missing the cut on Friday but had an incredible final 45 holes and deserved his win. He played the best golf when it mattered so it’s great to see and I’ll hopefully stay in contact with him because he’s a great contact to have - he says it how it is and has had experience on all the tours. “It’s amazing how quickly things can change in your career. It was a great week overall. I went down there Tuesday as first reserve and then I got in and then made the cut and went on to finish tied 15th. 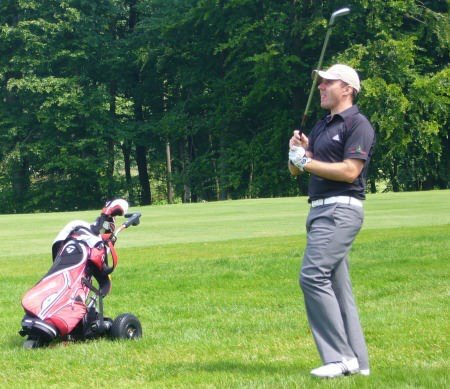 Having topped the rankings on the satellite Alps Tour last year, the first Northern Irishman to do so, Shaw’s second season on the Challenge Tour has been on a steady upward curve, culminating in his strong finish at the lucrative dual-ranking Najeti Hotels et Golfs Open presented by Neuflize OBC last week. He believes he is getting more confident as time goes on and watching Thornton claim a first title filled him with even more self-belief. “I’ve been saying for a while now that the margins between 20th and second or third or even contending, they’re so small,” said the 27 year old, who has missed just one cut in eight appearances this year. “Simon proved it last week, he beat me by only six shots over four rounds and now has a European Tour card. “It does fill you with confidence seeing Simon do that because I’ve played a lot with his recently. My fourth rounds have let me down this year. I have been in position a few times to got a few top tens or top fives and haven’t finished it off which is disappointing. “Last week was the first time I’ve moved forward in the fourth day which is nice, so hopefully I can kick on from here. “I actually played with Matteo Manassero here last time around in 2009 for the last two rounds, which was an experience. He’s gone on to pretty good things you could say! 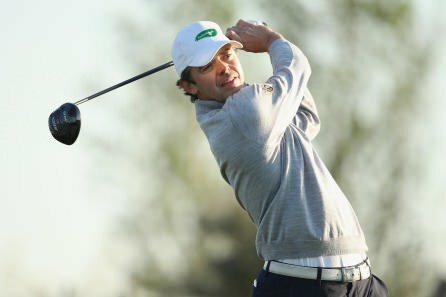 Shaw is joined in Scotland by Glasson touring professional Moriarty, who is making his first appearance since last years’ ALLIANZ Golf Open Toulouse Metropole, Corkman Peter O’Keeffe, Dubliner Niall Kearney, former Walker Cup star Paul Cutler from Portstewart and Rathmore rookie Alan Dunbar. Robert Dinwiddie got away from golf for 10 weeks by escaping to Thailand. He leads the Telenet Trophy at halfway with Finn Roope Kakko. 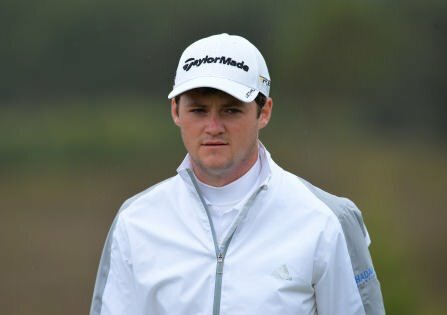 Picture Getty ImagesGareth Shaw and Simon Thornton were the only Irish survivors as England’s Robert Dinwiddie and Finn Roope Kakko topped the leaderboard in the weather delayed Telent Trophy at a soggy Royal Waterloo in Belgium.